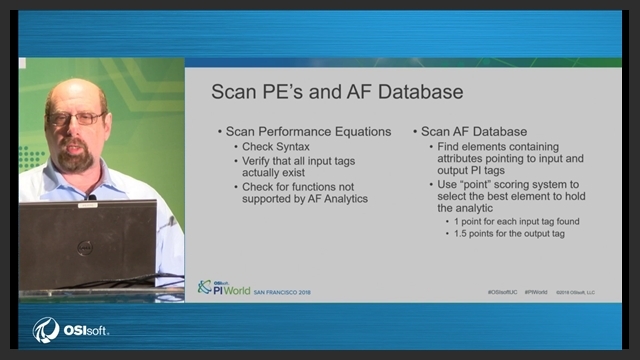 OSIsoft has recently released PE2AF, a utility for migrating performance equations to AF analytics. The release in on PI Square's GitHub and includes all source code. Mr. Soll is the author of the utility and will take the audience through both the both the operation and the code. David Soll is the Chief Technology Officer (CTO) and President of Omicron Development, LLC. He is responsible for the overall technical direction and technology solution set provided by Omicron. David received a BS in Electrical Engineering from Drexel University and has been working in Information Technology for over 30 years,. He is active in both the IEEE and the ACM and has held many leadership positions within the two organizations. David has a long history of innovation working with OSIsoft and Microsoft technologies. David began working with OSIsoft's PI system in its early days, when PC-networking and graphics were emerging technologies. He has followed the development of PI ever since and has helped many major clients adopt and extend PI's capabilities. He is the programmer that developed OSIsoft's Performance Equation to AF Analytics migration utility.